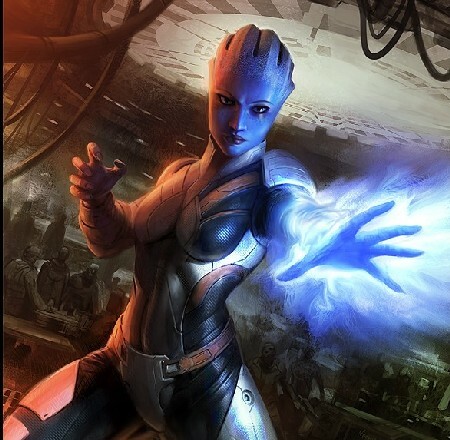 PCW: Mass Effect's inventory system was missing options like "leave" or "take this, not that" which made item management and character outfitting a bit of a struggle. How has Mass Effect 2's inventory interface been improved? CH: The inventory system is completely different. Nothing about inventory management from the first game is in Mass Effect 2, though all of the actual functionality it provided remains. Basically we took the whole thing out and replaced it with a bunch of different systems that do the same thing. Part of the problem is that, in that first inventory system you could do a huge number of things. You could manage the load-out of your team, you could customize your weapons, you could do all of this stuff through that interface. Now we have separate ways to do these things. So you can very intuitively manage the load-out of your team, then go to a different system where now you're upgrading your weapons and that feels more intuitive. We've essentially spread things out over several different areas where you can actually do these things in a more natural way and it's a lot more fun. The other thing that allows us to do, is that each of those aspects can go a lot deeper. For instance, the way that you customize your armor and your appearance and your weapons is a lot deeper than we could've gone before, when it was all managed by one interface. PCW: Last question. Gameplay and auto-narrative closure aside, today's video game stories seem incredibly shallow. Even the best bits of BioShock, which seem genius next to the D-list riffing in a game like Doom 3, feel a bit superficial when scaled against books like Cormac McCarthy's The Road or Neil Stephenson's Anathem or Alan Moore's Voice of the Fire. Your reaction? CH: It's a complex issue with lots of factors. I think part of it is that in books and movies, and I'm sure someone can Google this and see if I'm right, but I think there are just many, many more books that come out per year, and many, many more movies, relative to the big games that get played. I think the fewer works you have in a medium, the more mainstream or accessible they have to be. If games were consumed in tenfold numbers, then you'd have more opportunities to find different genres and niches in terms of the story, and more exploration into really personal and small-scale stuff. If you look at the entire spectrum of games made, there are definitely some that veer off the beaten path, but they often don't do well enough commercially. They just don't capture the huge mainstream audience that's required to make back the money necessary to put together a triple-A, really high-quality game. Unlike a movie, we can't go on location and have actors show up and film them. Even if you want to make a small private game, if you want to have actors and sets to comprise a story of the caliber you're talking about, you still have to build those actors in your game, you have to build the sets, and you have to build out the overlying technology in general. That's still very expensive. So I think that's one factor, the fact that ultimately a game has to be able to appeal to a broad enough audience. But I think there's maybe a bigger factor, which is...gaming's just a different medium. I think we have to acknowledge the fact that it's a different medium, that the way a game affects players' emotions in terms of narrative is fundamentally different. If you compare the same elements from a game story to a movie story on paper, certain things won't match up, but I can tell you, I've had a number of game-story experiences that were as profound as any movie I've seen, one of them being ICO. For me, ICO was about a nine-hour game, and you play for about eight hours leading a little girl through dangerous situations. As you move around, she's holding your hand, and you feel the tug of her hand on your controller for eight hours. But then in the ninth hour, you lose her, and suddenly, you don't feel the tug of her hand on your controller anymore. The way that ICO ends, it affected me more powerfully because of that emotional rollercoaster they put me on than I think maybe any movie that I've seen. And it's because, in an interactive way, they tapped into something about how I connect with a human being in a way that a movie can't. So I think that if a comparison's to be made between games and other mediums, it has to be made in terms of the result of the experience. PCW: Mass Effect 2 release dates...still on track for an early 2010 release?